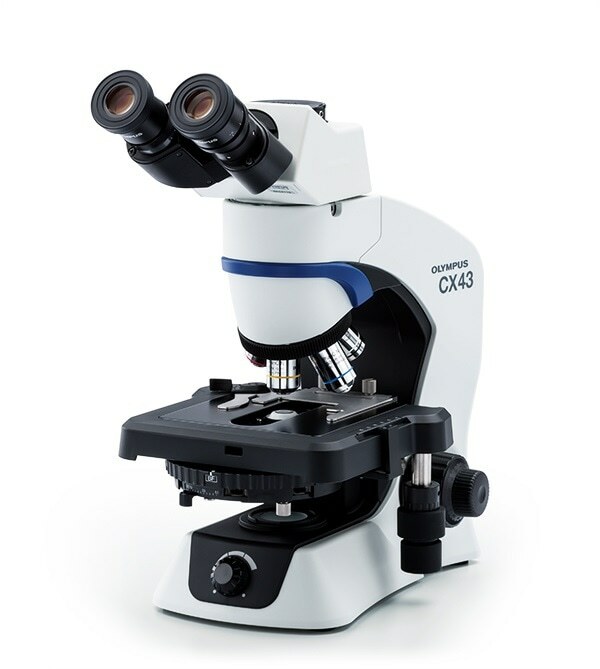 The CX43 microscope enable users to remain comfortable during long periods of routine microscopy observations. The microscope frame conforms to the user’s hands and the location of the control knobs maximize ergonomics to improve work efficiency. Users can quickly set a specimen with one hand, while adjusting the focus and operating the stage with the other hand with minimal movement. The microscope also features an optional camera port for digital imaging.